The E. coli strain currently suspected of making people sick in both Canada and the U.S. is the same that caused a similar outbreak last year, prompting questions about why regulators aren't issuing a mandatory recall. A case of E. coli thought to be linked to romaine lettuce has been confirmed in New Brunswick, making it the third province affected by an outbreak that has now made 19 people in Canada ill.
"New Brunswickers should avoid eating romaine lettuce and salad mixes containing romaine lettuce until more is known about the outbreak and the cause of contamination," said Dr. Jennifer Russell, the province's chief medical officer of health, in a news release issued Wednesday. The Public Health Agency of Canada, which on Tuesday warned people not to eat romaine lettuce in Ontario and Quebec, is aware of the case in New Brunswick, spokesperson Anna Maddison told CBC News in an email, and is updating its national advisory. The strain of E. coli contaminating the lettuce is the same that caused a similar outbreak last year, prompting questions about why the federal government has stopped short of issuing a mandatory recall. 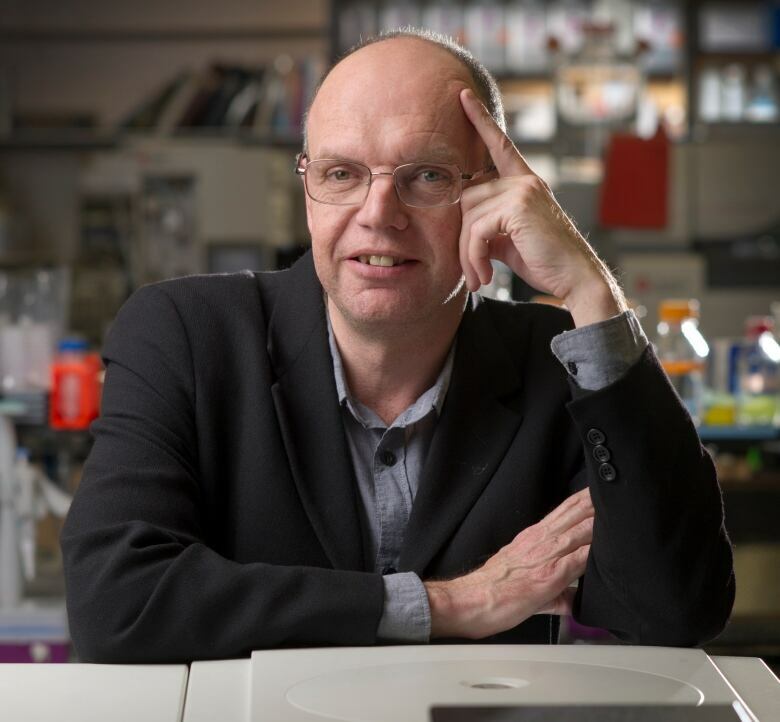 "Basically it's lightning striking twice," said Prof. Keith Warriner, a microbiologist specializing in food safety at the University of Guelph, noting that the strain, E. coli O157, is particularly "virulent," meaning it makes people sick more often than other forms of the bacteria. "It's worrying that it's the same strain [of E. coli as last year], which basically means it's the same source. And that means they never solved the problem," he said. In addition to the New Brunswick case, there have been 15 confirmed cases of the bacterial infection in Quebec and three in Ontario since mid-October, according to the Public Health Agency of Canada. Although no deaths have been reported, at least six people have been hospitalized. South of the border, the outbreak has also made 32 people sick in 11 states, according to the U.S. Food and Drug Administration (FDA). Health officials were never able to conclusively determine exactly what caused romaine lettuce to become contaminated with E. coli O157 in Canada and the U.S. in November and December 2017. Because they weren't able to pinpoint a specific supplier of lettuce, they didn't issue a recall. 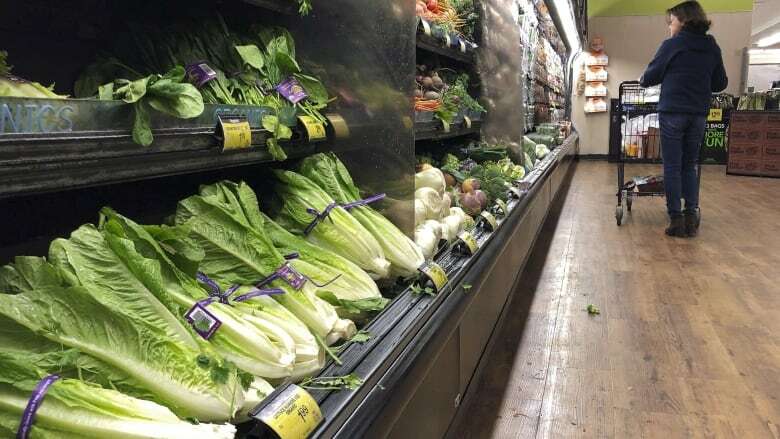 That was a "point of frustration" then, said Warriner, because it left retailers and restaurants uncertain about whether to pull romaine lettuce from their shelves — something many ended up doing anyway. Regulators are "always a bit hesitant to press that recall button," he said, because they don't want to risk singling out the wrong company or supplier, which can be financially devastating to that particular business or industry. Between farm field and store shelf, lettuce passes through "many hands" and processes, he said, making it very difficult to identify the source of E. coli contamination. When asked by CBC News why a recall hasn't been issued, a spokesperson for the Canadian Food Inspection Agency (CFIA) said the agency was leading an investigation into the possible source of the outbreak. "If a specific brand and/or source of romaine lettuce or other product is identified in the investigation, CFIA will take appropriate action. If a food recall warning is issued, CFIA would verify that the food industry and retailers remove the recalled products from the marketplace," said Lisa Murphy in an email on Wednesday. "Neither the Canadian or American food safety investigation have been able to identify a specific product of concern in the Canadian or American marketplace. All products tested as part of the investigation have been negative so far." But Warriner believes a "blanket" recall — making it mandatory for all stores and restaurants to stop selling or serving romaine lettuce, regardless of the source — is warranted. "It's the same playbook [as last year]. They seem to be saying, 'We're not going to recall it, but we advise you not to eat it.' Which I think is a bad thing because it gives confusion." FDA Commissioner Scott Gottlieb also said his agency didn't have enough information to request suppliers issue a recall, but he said supermarkets and restaurants should withdraw romaine products until the contamination can be identified. Major grocery chains in Canada — including Loblaw Companies Limited, Sobeys Inc. and Metro Inc. — announced Wednesday they were voluntarily removing romaine lettuce products from their stores across the country. In a news release posted on its website, Loblaw also said its stores would provide "a full refund" if customers returned the products. Most people suffering from E. coli infections "recover completely on their own," the Public Health Agency of Canada said. Those most at risk for developing complications are pregnant women, people with weakened immune systems, young children and seniors. Complications can be life-threatening, including kidney failure. Some people can be infected with E. coli without symptoms but still spread the infection to others, the agency said. Symptoms of E. coli illness include nausea, vomiting, headache, fever, severe stomach cramps and watery or bloody diarrhea. People usually get better within five to 10 days and there is no "real treatment" apart from staying hydrated. Antibiotics should not be used in treating E. coli O157 bacterial infections, said Dr. Isaac Bogoch, an infectious disease specialist at Toronto General Hospital. "They can actually do more harm than good," said Bogoch. "If antibiotics are used with this particular type of infection, what can happen is it can trigger a pretty nasty cascade within the body that can result in kidney failure and kidney damage." E. coli bacteria are naturally found in the intestines of farm animals. Contamination of vegetables and fruit can occur when they come in contact with animal feces. Most forms of the bacteria are harmless. Under normal circumstances, health officials often advise people to throw away the outer leaves of romaine lettuce and wash the rest. But right now, with E. coli O157 around, people shouldn't take any risks, Warriner said, advising them to get rid of any romaine lettuce they have. It only takes a small number of the bacteria's cells to cause illness, so handling contaminated lettuce can spread infection, he said. The U.S. Centers for Disease Control and Prevention advises people to "wash and sanitize drawers or shelves in refrigerators where romaine was stored" and to see their health-care provider and notify public health authorities if they have symptoms of an E. coli infection.